North America is full of wonderful wild orchids. No matter where you live or travel to, there are bound to be some orchid species native to the area. Many species are very showy and easy to spot, while others are very discreet and very easily overlooked. A great way to familiarize yourself with native orchids is to visit local botanical gardens because most will have a native plant exhibit. You can also search for local orchid societies to find out whether they hold any wild orchid group tours or outings. 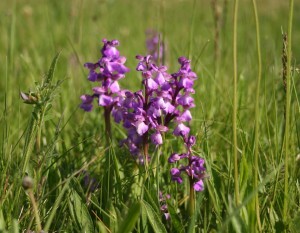 If you’re not really sure what to look for, a guided tour will help give you some guidance in finding wild orchids. There are also many good native orchid field guides to help you identify the native orchids in the area. Remember, it is important to never remove a wild orchid from its environment. Not only it is illegal, but many orchid species are endangered and it can disrupt the ecosystem’s balance and endanger other flora and fauna. 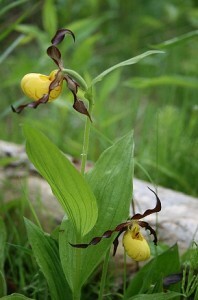 Below, we’ll review the most commonly found wild orchids in North America. Native orchids are found growing all over the United States in the mountains, forests, grasslands, and swamps. Many of the orchids that are native to the U.S. are hard to recognize as orchids because they are very small plants with even smaller blooms. 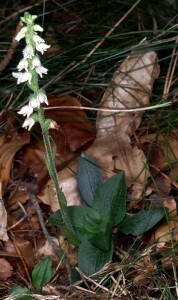 The United States is home to approximately 200 orchid species, most of which are terrestrial. Nearly 100 of the species found in the U.S. are found in Florida. One of the most popular native orchids found in Florida is the Dendrophylax lindenii—the Ghost Orchid. Mexico has more than 1,200 species of native orchids! 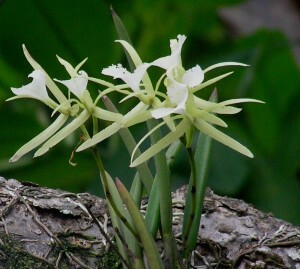 Some of the popular native Mexican orchids include the Brassavola Nodosa (Lady of the Night Orchid), Prosthechea cochleata (Clamshell or Cockleshell Orchid), and the wonderful-smelling Vanilla planifolia. 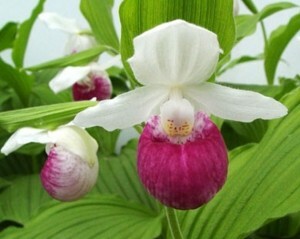 The list above is far from a complete list because there are thousands of orchid species in North America alone. Because there are so many different orchids growing in the wild, the next time you are out on a hike, be sure to be on the lookout!